Pour AtomEx Energy Drive fuel additive treatment into a fuel tank before fueling. AtomEx Energy Drive fuel additive treatment is compatible with all types of petrol, safe for catalyst converters, oxygen sensors and valves. 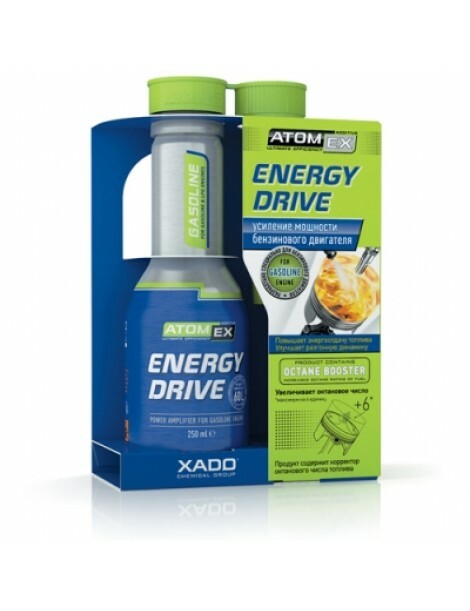 It is recommended to use AtomEx Energy Drive at each fuelling. AtomEx Energy Drive fuel treatment for petrol and gas engines is a new advanced fuel additive and fuel treatment to improve the combustion and performance properties of your fuel. Increases the energy-conversion of your fuel. Fast acceleration, maximum torque and engine power are important for all sports cars. Solution: application of an advanced fuel additive fuel treatment, which improves energy-conversion and efficient fuel combustion. The active component of AtomEx Energy Drive improves dynamic fuel ignition and combustion processes.